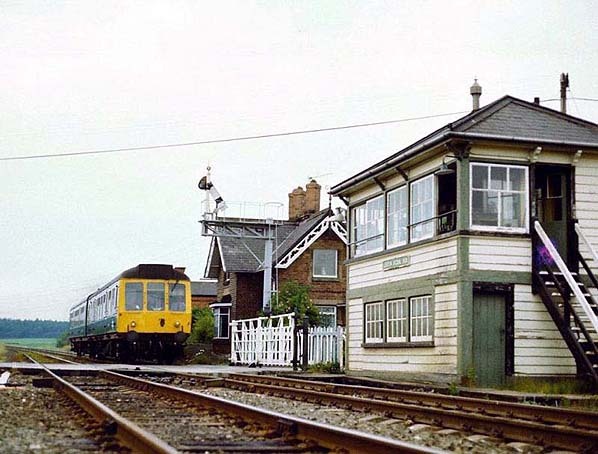 Leaton station looking north in October 1981. 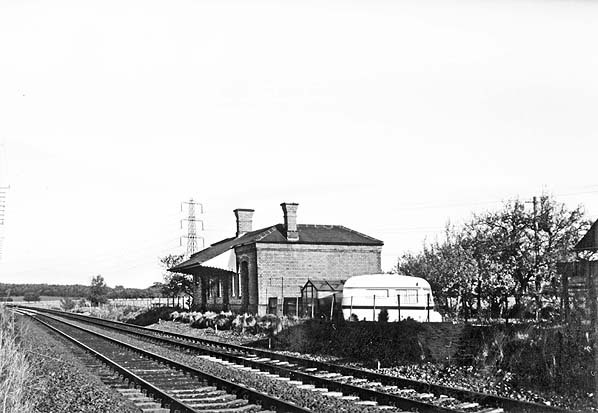 Looking north at the site of Leaton station from the south side of the level crossing in the early 1980s. 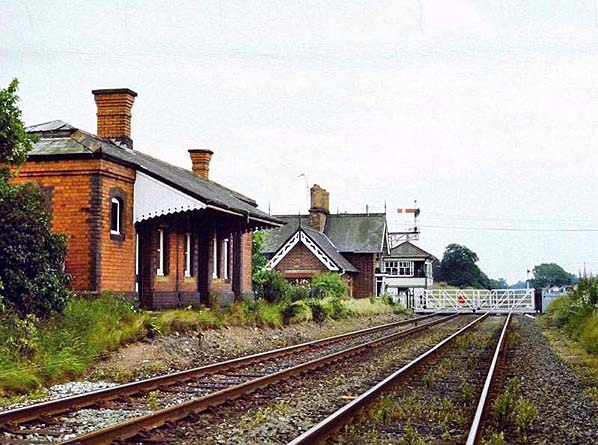 The Leaton station site looking south in the 1980s. 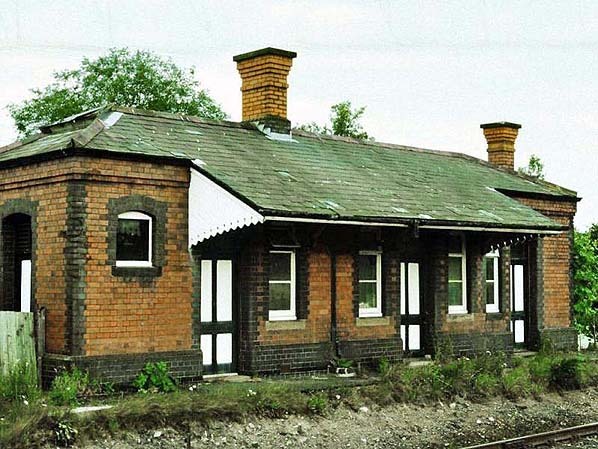 The up platform station building at Leaton seen in the 1980s. 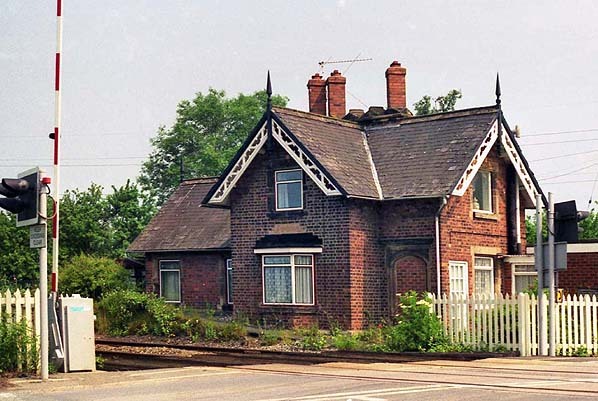 The original Shrewsbury & Chester Railway station building at Leaton seen on 3 July 1991. 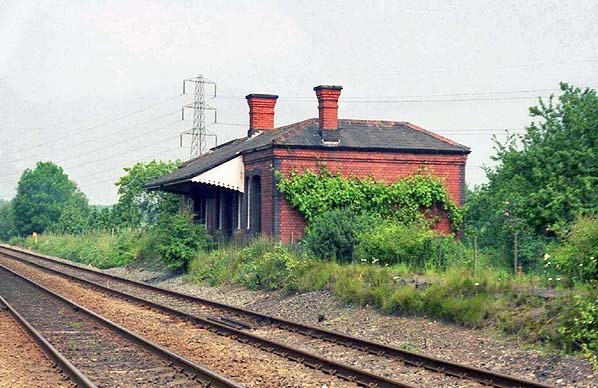 A northwards view of the GWR up platform station building seen on 3 July 1991. 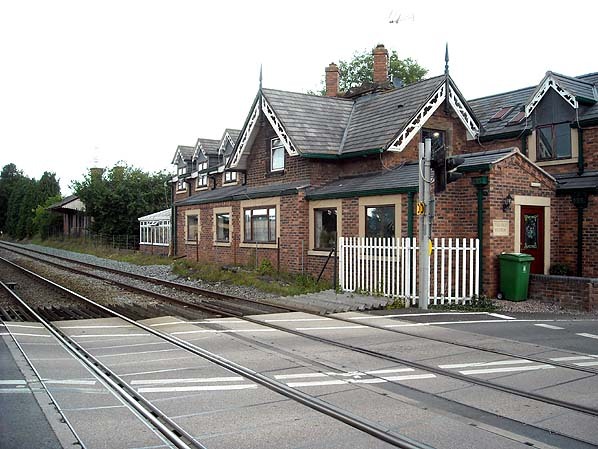 Leaton station looking north on 1 August 2010.